First Graders focus on the family, “My Jewish Home” and the synagogue. They explore our synagogue building, and learn the meaning and uses of specific ritual objects and important places in our Synagogue and Sanctuary. Our children will share their new knowledge as eachbecomes a “docent,” guiding their parents on a synagogue scavenger hunt. Continued exploration of the Jewish holidays takes on deeper meaning as our First Graders learn about both synagogue and home celebrations. Hebrew learning is introduced in Kindergarten through Kashkesh, our immersive Hebrew learning program of Music, Art and Dance. Kashkesh is our dynamic immersive Hebrew learning program designed to provide our youngest students (K-2) with an engaging and dynamic environment that focuses on building a beginning Hebrew vocabulary through music, art and dance. 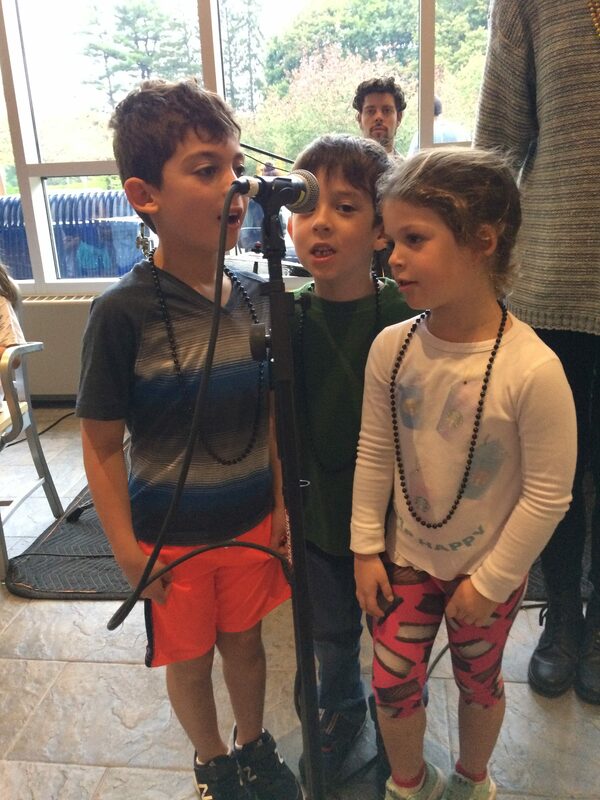 Through the guidance of our Kashkesh learning specialist, Candice Polner teaches art, Itamar Gov-Ari teaches music and Shmulik Gov-Ari teaches dance, the program provides project based and experiential learning to make Hebrew come alive for our kids and help them put meaning in context.